As it’s a one-chassis design the construction was as easy as possible. Although i’ve left a little space beneath at the bottom for future activation using a small (class-d?) amp. The MDF Cases were veneered using quality Teak-veneer and then etched: Front dark reddish-brown, Rest dark black. Oiled (using maple oil) and sanded multiple times up to 600Grit they have a wonderful feel to them. All in all it was really worth the building time. 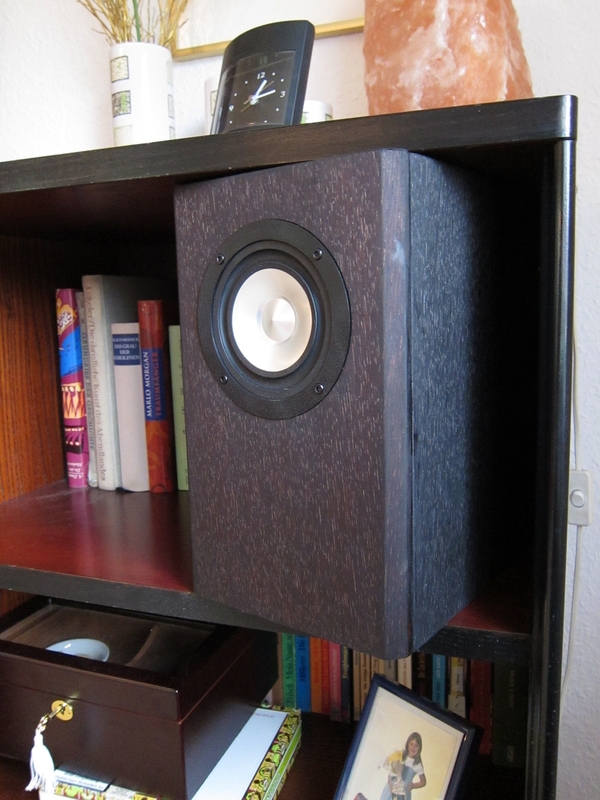 The part that took longest was – as always -the finishing, but it was worth the nice looks and good fit into the existing cupboard-system.